Copyright: © 2016 Malemud CJ. This is an open-access article distributed under the terms of the Creative Commons Attribution License, which permits unrestricted use, distribution, and reproduction in any medium, provided the original author and source are credited. The last 15 years has seen a revolution in the development of a drug therapy armamentarium for treating patients with rheumatoid arthritis (RA) . Prior to that general practitioners and rheumatologists were relatively limited in the number of agents which had shown clinical efficacy in the treatment of RA patients. Besides the use of gold in some RA patients, non-steroidal anti-inflammatory drugs (NSAIDs) , corticosteroids  anti-malarial drugs , sulfasalazine , methotrexate , the latter employed as either a monotherapy or in combinations with salfasalzine and/or hydroxychloroquine , and leflunomide  were among the most commonly employed disease-modifying anti-rheumatic drugs (DMARDs) for the treatment of RA. However, research and development created a new class of biologic drugs which are now commonly prescribed for the medical therapy of RA, including those that have shown robust clinical efficacy through the blockade of several forms of interleukin and/or tumor necrosis factor-α. These developments arose after many years of basic research; first using in vitro pre-clinical model cell culture systems, the results of which were then extended for evaluation of these biologic drugs in well-validated rodent models of RA . Most recently, the development of the selective small molecule inhibitors (SMIs) of Janus Kinase-3, exemplified by tofacitinib, have also significantly advanced the choices that rheumatologists have for RA therapy . In fact, this novel discovery is likely to provide the impetus for further basic research into the nature of signal transduction pathways  which drive RA pathogenesis and progression in response to the abnormally elevated levels of pro-inflammatory cytokines, chemokines, adhesion molecules , and growth factors , all of which have been implicated as playing prominent roles in RA pathology. So why does drug development for RA continue if there are so many versatile drugs from different drug classes to choose from for treating RA? Although there appears to be no absolute answer to this question, ideally from a clinical perspective the response of an RA patient to a particular DMARD, biologic or SMI should be personalized and, in part, this choice should be based on that individual patient’s clinical response to a given drug. Therefore it would continue to be problematic if an RA patient failed to clinically respond to the available RA medicines and in the absence of continued drug development, there could be no agents left in the drug armamentarium for RA treatment. Thus, the search for novel anti-RA drugs should proceed unabated and based on this contention; there are two critical pathways relevant to RA which are being explored in detail at this time. Spleen tyrosine kinase (SyK) and ζ-chain associated protein-70 (ZAP-70) are nonreceptor kinases that are expressed by hemopoietic cells, including those in the spleen, mast cells, polymorphonuclear leukocytes and macrophages . 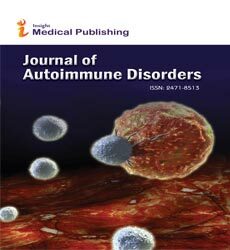 Over-expression of SyK and ZAP-70 are associated with autoimmune disorders . Thus, the finding that Cb1 ubiquitin ligase, an enzyme critical for providing a signal for protein degradation, was a negative regulator of SyK ubiquitination and degradation, also made the polyubiquitination-proteasome pathway (see below) a relevant drug target for RA . Of note, Pine et al. previously showed that R788, a prodrug of the active novel SyK inhibitor, R406, suppressed the severity of arthritis, subchondral bone erosion, development of pannus and synovitis in the collagen-induced arthritis (CIA) model of RA in mice thus, spurring on the development of SyK inhibitors for testing their efficacy in RA clinical trials. Furthermore, inhibition of SyK by R406 resulted in suppressed levels of synovial cytokines and serum levels of cartilage oligomeric matrix protein. Thus, it may be feasible to use these measurement to assess whether these proteins are sensitive biomarkers for R406 activity on SyK. In that regard, a phase II clinical trial employing the SyK inhibitor, fostamatinib (R406), was shown to improve clinical responses without untoward serious side-effects . From a pathophysiological perspective, R406 also reduced interleukin-6 (IL-6) and matrix metalloproteinase-3 levels in the serum of RA patients compared to the placebo arm . However, the results of these studies with R406 were from short-term clinical trials and at present it remains to be determined whether or not clinical responses to inhibitors of SyK can be sustained over a longer period of use to treat a chronic disease such as RA. In fact, it is also important to point out that R406 was eventually shown to have reduced clinical efficacy compared with other therapeutic agents for RA and furthermore, that R406 was not a very selective kinase inhibitor after all. So where do things now stand for testing the therapy of RA with other inhibitors of SyK? From a clinical perspective, inhibitors of SyK activity and Bruton’s tyrosine kinase (Btk)  (now termed the SyK/Btk axis) continue to demonstrate clinical efficacy for RA . Thus, at the pre-clinical experimental level, the encouraging clinical results with R406 provided the impetus for developing new Syk inhibitors, some of which appear to have greater specificity for SyK, such as P505-15, than previously noted for other SyK inhibitors . In that regard, experimental treatment with P505-15 to mice with CIA continued to lower the severity of arthritis which was accompanied by a reduced level of cartilage destruction as well as lower macrophage infiltration into synovial tissue . In addition, incubating human RA synovial tissue ex vivo with P505-15 also lowered IL-1β-stimulated inflammatory responses. A novel ATP-competitive SyK inhibitor, RO9021, has also been evaluated in various in vitro cell culture systems . The most pertinent findings from those studies were that RO9021 suppressed B-cell receptor signaling within B-cells isolated from human mononuclear cells and FCγR-signaling by human mast cells as well as blocking osteoclastogenesis by mouse bone marrow-derived macrophages. Importantly, RO9021 inhibited Type I interferon production by plasmacytoid dendritic cells upon activation of Toll-Like Receptor-9 (TLR9) which was specific for TLR9, since RO9021 did not inhibit TLR4 or Janus Kinase/Signal Transducers and Activators of Transcription (JAK/STAT) signaling. Importantly, after engaging the BCR, RO9021 also inhibited the phosphorylation of 2 downstream effector molecules dependent on SyK, phospholipase-Cγ2 and the aforementioned, Btk. Of note, orally administered RO9021 to mice with CIA attenuated the severity of arthritis while also showing acceptable pharmacokinetics and pharmacodynamics. These results should provide the necessary pre-clinical evidence for RO9021 to go forward into RA clinical trials. Most recently, Ferguson et al. developed a novel triazolopyridine-based SyK inhibitor, CC-509. CC-509 was shown to be moderately selective for SyK and showed only modest activity towards the “kinase domain receptor” (KDR) and JAK2. Furthermore, CC-509 was more selective than R406 when assayed against other kinases. CC-509 displayed acceptable dose-dependent efficacy in two rodent models of immune-mediated arthritis as shown by its capacity to significantly reduce paw swelling, as well as by reducing in mouse CIA the tissue levels of the chemokine, Activation Normal T Cell Expressed and Secreted (RANTES) protein and macrophage inhibitory protein-1α (MIP-1α). These pre-clinical results showed that CC-509 was a potent and moderately selective SyK SMI when compared to other SyK compounds and in that regard, CC-509 appears to be progressing towards further evaluation in RA clinical trials. The 26S proteasome, a large protein complex comprised of approximately 31 different subunits contains the 20S proteasome which is “capped” at one or both ends by 19S regulatory complexes that recognize ubiquitinated proteins . The 26S proteasome is localized to both nuclear and cytoplasmic compartments of eukaryotic cells [21,22]. The principal role of the proteasome is to regulate the cellular function of completed proteins as well as providing a cellular compartment for the controlled degradation of misfolded proteins regardless of whether or not these proteins are subject to lysosomal-mediated degradation . In that regard, the proteasome pathway has become a foremost target for drug development designed to modulate dysfunctional proteins in cancer [24,25] and in autoimmune disorders [12,26]. This despite the clinical findings, which indicated that patients with hematologic malignancies who initially respond to the proteasome inhibitor, bortezomib, ultimately can become “bortezomib-resistant” . In the past 3 years or so, added attention has focused on the “immunoproteasome” as a potential target for RA therapy. Thus “immunoproteasome-specific” inhibitors have now been identified for which their efficacy has been tested in preclinical animal models with compromised immune systems . However, the extent to which inhibition of “immunoproteasome”-mediated functions will, in addition, to its well-characterized role in protein processing required for MHC Class I-restricted antigen presentation, alter the pathology of autoimmune disorders remains to be seen. Of note, recent evidence that interferon-γ and TNF-α induced “immunoproteasome” activation is certain to impinge on its role as a modulator of T-lymphocyte proliferation, cytokine production and T-helper differentiation. This makes the “immunoproteasome” a critical novel target for RA. In that regard, recent studies have focused on “low molecular weight protein-7” (LMP7) which was shown to modulate “immunoproteasome” activation . The proteasome pathway  also appears to regulate the synthesis and release of the chemokine, fractalkine/CX3 CL , the latter playing an important role in attracting and supporting the migration of activated immune cells to RA synovial joints. In closing these remarks it is prudent to offer a word of caution to investigators, clinicians and RA patients alike regarding the identification and development of new drug targets for treating RA. Thus, results from prior experiences in this arena have alerted us to the distinct possibility that although a relevant drug target may emerge from a further understanding of the pathophysiological networks involved in RA, developing an agent designed to overcome a deficiency in that target or to inhibit it, may not evolve for use in the clinic even though the agent proves to have efficacy in cell cultures and in well-validated animal models of RA. Malemud CJ (2011) Molecular mechanisms in rheumatic diseases - Rationale for novel drug development. Hot-Topic Special Issue: Anti-Inflammatory Anti-Allergy Agents Med Chem 10: 72-131. Pelletier JP, Martel Pelletier J, Malemud CJ (1994) Effects of nonsteroidal anti-inflammatory drugs and corticosteroids on cartilage metabolism in rheumatoid arthritis and osteoarthritis.In: Non-steroidal Anti-Inflammatory Drugs: Mechanisms and Clinical Uses.2nd Edition, Lewis AJ, Furst DE (Editors), Marcel Dekker: New Yorkpp: 5-25. Taherian E, Rao A, Malemud CJ, Askari A (2013) The biological and clinical activity of anti-malarial drugs in autoimmune disorders. Curr Rheum Rev 9: 45-62. O’Dell JR, Leff R, Paulsen G, Haire C, Mallek J, et al. (2002) Treatment of rheumatoid arthritis with methotrexate and hydroxychloroquine, methotrexate and sulfasalazine, or a combination of three medications; results of a two-year, randomized, double-blind, placebo-controlled trial. Arthritis Rheum 46: 1164-1170. Fox RI, Herrmann ML, Frangou CG, Wahl GM, Morris RE et al. (1999) Mechanism of action for leflunomide in rheumatoid arthritis. ClinImmunol93: 198-208. Wisler BA, Dennis JE, Malemud CJ (2011) New organ-specific pharmacological strategies interfering with signaling pathways in inflammatory disorders/autoimmune disorders. Curr Signal TransductTher6: 279-291. Malemud CJ (2011) Dysfunctional immune-mediated inflammation in rheumatoid arthritis dictates that development of anti-rheumatic disease drugs target multiple intracellular signaling pathways. Anti-Inflammatory Anti-Allergy Agents Med Chem10: 78-84. Malemud CJ, Reddy SK (2008) Targeting cytokines, chemokines and adhesion molecules in rheumatoid arthritis. Curr Rheum Rev 4: 219-234. Malemud CJ (2007) Growth hormone, VEGF and FGF: Involvement in rheumatoid arthritis. ClinChimActa375: 10-19. Malemud CJ (2009) Role of nonreceptor tyrosine and threonine kinase inhibitors. In: Molecular Biology of Cancer: Toward New Therapies, García-Foncillas, J (Editor) Barcelona, Prous Science pp.537-555. Malemud CJ (2009) The discovery of novel experimental therapies for inflammatory arthritis. Mediators Inflamm: 698769. Rao N, Ghosh AK, Ota S, Zhou P, Reddi AL, et al. (2001) The non-receptor tyrosine kinase SyK is a target of Cb1-mediated ubuquitylation upon B-cell receptor stimulation. EMBO J 20: 7085-7095. Pine PR, Chang B, Schoettler N, Banquerigo ML, Wang S et al. (2007) Inflammation and bone erosion are suppressed in models of rheumatoid arthritis following treatment with a novel SyK inhibitor. ClinImmunol124: 244-257. Bajpai M(2009) Fostamatinib, a Syk inhibitor prodrug for the treatment of inflammatory diseases. IDrugs 12: 174-185. Weinblatt ME, Kavanaugh A, Burgos-Vargas R, Dikranian AH, Medrano-Ramirez G, et al. (2008) Treatment of rheumatoid arthritis with a Syk kinase inhibitor: a twelve-week, randomized, placebo-controlled trial. Arthritis Rheum 58: 3309-3318. Tan SL, Liao C, Lucas MC, Stevenson C, DeMartino JA (2013) Targeting the SyK-BTK axis for the treatment of immunological and hematological disorders: recent progress and therapeutic perspectives. PharmacolTher138: 294-309. Zhang Z, Cao C, Sun S, Xu Q (2015) Selective spleen tyrosine kinase inhibition delays autoimmune arthritis in mice. Mol Med Rep 12: 2902-2906. Liao C, Hsu J, Kim Y, Hu DQ, Xu D, et al. (2013) Selective inhibition of spleen tyrosine kinase (SYK) with a novel orally bioavailable small molecule inhibitor, RO9021, impinges on various innate and adaptive immune responses: implications for SYK inhibitors in autoimmune disease therapy. Arthritis Res Ther15: R146. Ferguson GD, Delgado M, PlantevinKrenitsky V, Jensen Pergakes K, Bates RJ, et al. (2016) A novel triazolopyridine-based spleen tyrosine kinase inhibitor that arrests joint inflammation. PLoS One 11: e0145705. Voges D, Zwicki P, Baumeister W (1999) The 26S proteasome: a molecular machine designed for controlled proteolysis. Annu Rev Biochem68: 1015-1068. Peters JM, Franke WW, Kleinschmidt JA (1994) Distinct 19S and 20S subcomplexes of the 28S proteasome and their distribution in the nucleus and cytoplasm. J BiolChem 269: 7709-7718. Wang J, Maldonado MA (2006) The ubiquitin-proteasome system and its role in inflammatory and autoimmune diseases. Cell MolImmunol 2006 3: 255-261. Bennett MK, Kirk CJ (2008) Development of proteasome inhibitors in oncology and autoimmune diseases. CurrOpin Drug DiscovDevel11: 616-625. Dou QP, Zonder JA (2014) Overview of proteasome inhibitor-based anti-cancer therapies: perspective on bortezomib and second generation proteasome inhibitors versus future generation inhibitors of ubiquitin-proteasome system.Curr Cancer Drug Targets 14: 517-536. Elliott PJ,Zollner TM, Boehncke WH (2003) Proteasome inhibition: a new anti-inflammatory strategy. J Mol Med 81: 235-245. Buac D, Shen M, Schmitt S, Kona FR, Deshmukh R et al. From bortezomib to other inhibitors of the proteasome and beyond. Curr Pharm Des 2013; 19: 4025-4038. Miller Z, Ao L, Kim KB, Lee W (2013) Inhibitors of the immunoproteasome: current status and future directions. Curr Pharm Des 2013; 19: 4140-4151. Basler M, Mundt S, Bitzer A, Schmidt C, Groettrup M (2015) The immunoproteasome: a novel drug target for autoimmune diseases. ClinExpRheumatol 33 : S74-S79. Jones BA, Riegsecker S, Rahman A, Beamer M, Aboualaiwi W, et al. (2013) Role of ADAM-17, p38 MAPK, cathepsins, and the proteasome pathway in the synthesis and shedding of the fractalkine/CX3 CL1 in rheumatoid arthritis. Arthritis Rheum 65: 2814-2825. Ruth JH, Volin MV, Haines GK, Woodruff DC, Katschke KJ Jr (2001)Fractalkine, a novel chemokine in rheumatoid arthritis and in rat adjuvant-induced arthritis. Arthritis Rheum 44: 1568-1581.